Even as Eurozone countries are struggling with debt crisis, its leader Germany continues to report good figures of the economy. German business confidence has reportedly hit fresh post-reunification high. Germany’s strong exports continue to drive the strong economic recovery. IFO, the business confidence index is closely watched by markets. IFO climbed to 109.9 in December from 109.3 in November, itself a 20-year high. Germany is driving the EU’s recovery despite worries of debt crisis that hit most indebted countries of the Eurozone area. Though the manufacturing growth has witnessed a small dip, analysts have inclined to brush it aside with the growing business confidence. Analysts are pointing out the increasing confidence among retailers and wholesalers. Some are expecting Germany’s annual GDP growth for the fourth quarter would be around 6 percent as compared to 3.9 percent of third quarter. 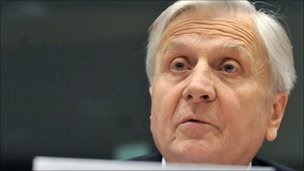 ECB president Jean-Claude Trichet confirmed on Thursday that the European Central Bank would continue to buy government bonds of Eurozone countries. The ECB already bought government bonds of Eurozone countries worth 67 billion Euros. He did not offer any details as per BBC news. 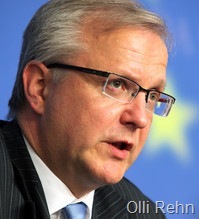 Trichet said the ECB would continue to support troubled banks in Eurozone area. After Trichet’s announcement, the Euro rose to $1.3145 from $1.3059 on Thursday. ECB decided to maintain bank rate at 1%, as expected. On Thursday (December 2), Spain government carried a bond auction to raise 2.47 billion Euros. Spain had to offer increased yield on its 3-year bonds, 3.7% instead of previous rate of 2.5% in October. Yesterday, Portugal also increased its yield on 1-year bonds from 4.8% to 5.3%. Markets are still nervous on public finances of Portugal and Spain. Elsewhere, official figures confirmed Q3 growth rate of 0.4% for Eurozone, a slow growth compared with Q2 growth rate of 1%. The leading economies of the Europe have slowed down in third quarter like the US. The economists and analysts have been in alert mode since it became known that the US growth was slowing down in second half. It is interesting to see these analysts are not worried that much for Europe’s slow growth in second half of 2010. Europe’s largest economy, Germany is estimated to record a sharp decline in its growth to 0.7% in third quarter comparing with its second quarter growth of 2.3%, which is revised upwards from 2.2%, the previous figure. France GDP growth declined from 0.7% in second quarter to 0.4% in third quarter. Italy’s growth declined to 0.2% from 0.5% of second quarter. The Eurozone countries grew by 0.4% on average which is a sharp decline from its second quarter average growth of 1%. Last month it was revealed that the UK grew by 0.8% in third quarter, less than 1.2% of second quarter. The US is expected to grow by 0.5% in third a slight increase from its second quarter figure of 0.4%. Japan grew in second quarter by 0.4%, which declined from 1.2% of its first quarter growth figure. Its third quarter figure is not yet released. The International Monetary Fund fueled the economic crisis in emerging Europe last year to create a situation in which it would be asked to help bail out the region, a Czech central banker was quoted as saying on Friday. The Fund, which led the rescue of former Communist Hungary, Latvia, Ukraine and Romania, misinterpreted data as it was seeking a task under its new management, Czech deputy governor Mojmir Hampl told Austrian daily Der Standard in an interview. "It’s ridiculous that it was the IMF, of all people, who accelerated the crisis," Hampl said. "This was an apparent attempt to bring about a bailout of an entire region. "Before this crisis, (the IMF had) virtually no clients," he added. "With this crisis and the new leadership under Dominique Strauss-Kahn, the Fund found a new job and got more funds." However, Zdenek Tuma, the Czech National Bank’s governor, contradicted his deputy when asked about Hampl’s interview. "The opinion expressed by Mr Hampl that the IMF accelerated the crisis is his personal opinion. This is not a position of the Czech National Bank and I don’t share it," Tuma told Reuters over the phone. "The IMF is an institution with a mandate to support countries when they are in trouble," Tuma said. "Countries like Latvia or Hungary had structural problems … and fiscal problems. This is exactly the case when the IMF should come in, and that happened," Tuma said. The euro has fallen to its lowest level against the dollar for 10 months as European Union leaders disagree on how best to deal with Greece’s debt crisis. Comments by the Bank of China’s deputy governor about high debt levels across Europe also pushed the euro lower. 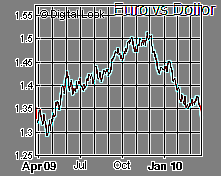 Against the dollar, the euro fell to $1.333, its lowest level since early May last year. Against the pound, it fell by 0.3% to 89.338 pence. EU leaders are meeting in Brussels, but Greece is not officially on the agenda. However, European Commission president Jose Manuel Barroso has repeated calls ahead of the summit for leaders to agree an aid package for Greece. Germany is unconvinced that Greece needs help. 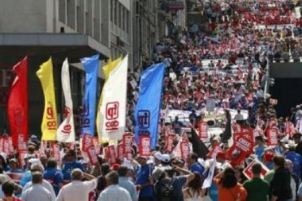 Greece itself has not asked for any direct financial assistance. Deputy governor of the Bank of China Zhu Min was reported as saying the Greek debt crisis was just the "tip of the iceberg", which heightened concerns about high budget deficits in other European countries. Mr Zhu’s comments are "as good an indication as any of how rapidly fundamental concerns are growing about the eurozone", said Simon Derrick at Bank of New York Mellon. "Indeed, this comment might well signal the point that we stop talking about a ‘Greek debt crisis’ and start talking about a ‘eurozone structural crisis’ instead."